Jet Boat Colorado boat tours will open for business on May 7, 2016, for adventure and scenic boat tours on the Colorado River. The Wild Mustang boat is 20 feet long with theatre style seating for up to 11 people. The Wild Mustang is built for high speeds and maneuverability, and is equipped with a GM 6.2 liter, L86, fuel injected engine giving it 420 horsepower. “We’re excited about offering something new to the Grand Valley and new to residents of Colorado. This is the first river boat experience of its kind in Colorado. We are hoping to give people who enjoy water recreation a new type of adventure, here on the Western Slope,” said Joe Keys, owner of Jet Boat Colorado. There are two types of boat tours offered-the adventure tour and scenic tour. The tours will be available daily until mid-September. The Adventure Tour will take passengers on speeds that will get their adrenaline pumping. The passengers will experience part rafting, part rodeo and part race car with this tour. Passengers will be thrilled and amazed, and will of course get wet! The expert driver will give passengers the experience of power sliders, fishtales, speed runs and Jet Boat’s famous ‘Cowboy Spin.’ Passengers will also enjoy scenic points of interest and a few stories. stunning view of the Bookcliffs, Battlement Mesa, and Grand Mesa, while learning about the rich human and natural history of Western Colorado and the lore of the Colorado River. The media is invited to one of two Media Days on May 10th and May 11th, at 3 pm. The media will be allowed to film, take photos and experience a tour. Questions can be answered by owner and operator, Joe Keys. To RSVP for the media day tour, please email info@jetboatcolorado.com or call 970-644-1121 by May 9, 2016. For more information please visit our website at www.jetboatcolorado.com or our Facebook page at http://www.facebook.com/jetboatcolorado . 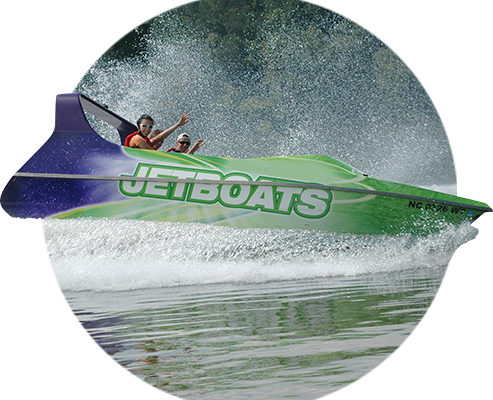 This article was submitted by Jet Boat Colorado to the peachtownnews.com. ← Previous Story Sport shooting complex, bike trails, and Jump Start business!